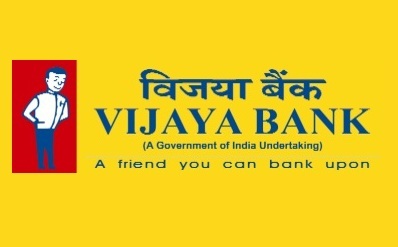 Vijaya Bank, invites Online applications from young & Dynamic Candidates who have qualified in the Common Written Examination (CWE)-PO/MT- conducted by Institute of Banking Personnel Selection IBPS in 2011-12 and holding a valid score card issued by IBPS, for recruitment for the posts of Probationary Assistant Manager (JMG-S-I). Application fee : Rs.200/- (Rs.50/- for SC/ST) should be paid by directly in any of the Vijaya Bank Branches by payment challan only. Last date of online application: 16/05/2012 to02/06/2012 . I did not know that banks also have interns and that private jobs in the banking sector are also hot. But then, you learn something every day. Anyways, it does not matter coz most of the bank aspirants take it like internship and don't prepare for it well at all. How it can be wished that most of the aspirants take these exams seriously and not only be better prepared but increase the reputation of the exam as well. While it is understandable that most of the aspirants for such exams could be jobbers or students, that really is no excuse, especially in the world where they are plenty of IBPS Bank PO and SBI Clerical Exam Preparation courses online available as well. Wish more people took advantage of that.